On the first day of the month, you pick one thing to give away, donate, throwaway, etc. I am going to take a picture of it, and post it to the Paddling Otaku Facebook page. On day two of the month I choose two things. On day three I choose three things. Until the end of the month when I have to choose 30 things to get rid of. If you are interested in joining me, head over to my Facebook page. 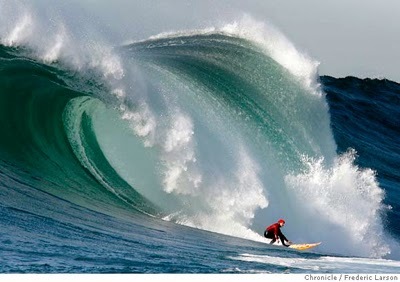 What does this have to do with paddling? Only a little. I am a firm believer in the "Bruce Lee/Jeet Kune Do" school of kayaking. Which is essentially, take what works, and throw the rest of it away. I teach a very simplified form of paddling. I also feel the same way about gear. If I get something new, I am replacing something old. One in, one out. I try hard to do this in my life. I am not always successful, but I try. So that is how it relates to paddling. Being a minimalist is something that I find stress relieving. When I can't find something I don't have far to look for it. I have very little clutter. It makes everything more simple, and a simple life is a good life. For me anyway. So if you would like to give it a try, head over to Facebook. I have dropped kayaks. 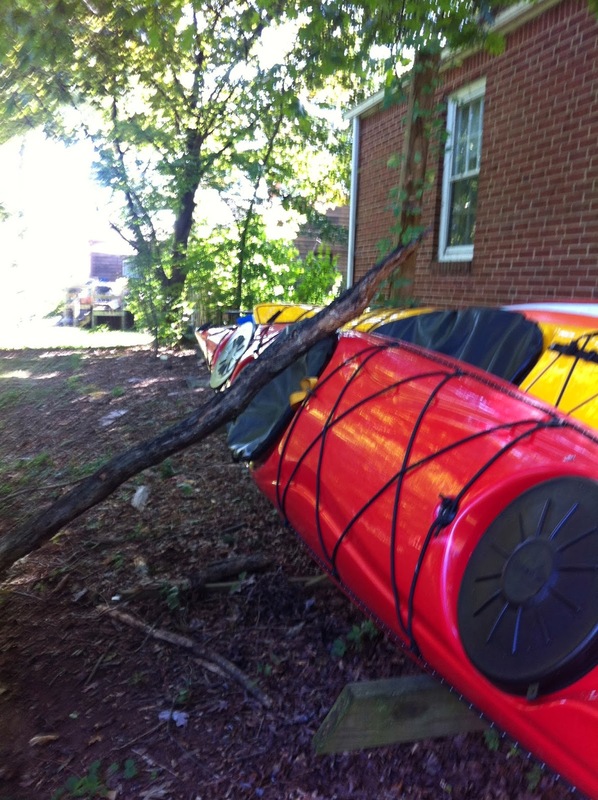 Many kayaks, under my charge have been dropped. There was the wooden one, made by Fox Lane Boatworks. A beautiful boat. I dropped it from a roof rack onto pavement, unloading the boat from my roof. It bounced on a cold winter morning, and I commented on how durable the boat appeared to be. At the time I was trying to get work instructing for them. I didn't get the job. I have paddled a lot of traditional plastic boats as well, but I never really worry about them. You could probably run your rotomolded poly boat over with a truck, kick out the dents and go paddling. The boats that live in my back yard are close to the house on a home made wooden rack. Directly next to them is a tree that is probably 3 feet in diameter. My thinking is that they would be protected should something unfortunate happen. But about a week ago we got a night of big wind. The following day I went back there to check on things and I found this. I have had people look at thermoformed boats, and for some reason decide that they look brittle. Meaning easy to crack. I have dropped my delta from knee height and done zero damage. 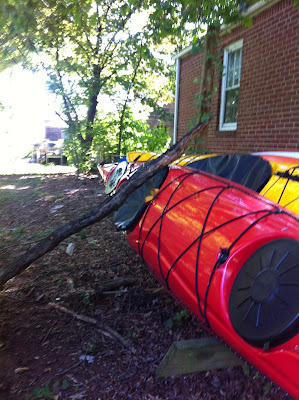 I have had an 800 pound bear stand on the back deck of my kayak and cause no damage - I was hoping for claw marks! After the bear I slid my Delta down a 40 foot rocky beach to the water, while we carried Sarah's fiberglass boat. Yeah, it got scratched up. But it is fine. But when I saw the scene above I got nervous. We need this boat for AGAP 2014, we don't have the resources to replace a boat, and I have just completed extensive repairs on another boat. I don't want to do that again. But when I got up close I was amazed. First, the branch that fell in the windstorm was about 10 feet in length and about 4 inches across. It weighed around 25 pounds. There was zero damage. It fell from a pretty big height. I am not sure exactly how high, but at least 20 feet. That is a lot of force. Now clearly, if I just spent time repairing a boat, they can be broken. The Delta I repaired was damaged in shipping and I think one of two things happened to it. Option one is impact from a fork lift. The other option is that a loaded pallet fell on it. My confusion on that situation is that the damage was pretty extensive on both sides of the bow. I suspect a great deal of force was dropped on the deck of the boat. There was probably just nowhere for the force to go. But that situation whatever it was, was out of the ordinary. In my experience is rotomolded poly boats are the most durable, But I think thermoformed is a close second. Take a hammer to a fiberglass boat and see what happens. Of course, Fiberglass is easier to repair, so at the end of the day I don't think it makes that much of a difference. I think most of the big boat companies make incredible products. But don't tell me Thermoformed isn't durable. So why am I giving you this information? For this simple reason. If you have Mavericks installed on your mac, you have a new app that has previously only been available on iPads. That app is called iBooks, which means you can read any books in the iBook store. Including mine. 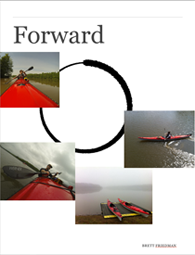 So go check out Forward - it's free and viewable on your Mavericks installed Mac. BSA is having a rough year. You may have already seen this, it really all occurred about a week ago. These are three Boy Scouts of America troop leaders destroying a natural formation at goblin valley state park. I should actually say these are three former BSA scout leaders, as BSA has rightly removed them from scouting. This isn't the first public relations nightmare that BSA has had this year either. At one point early in the year BSA affirmed that it would not allow openly gay youth to be scouts, which caused an uproar. Then when they changed their minds - hoping to calm people down - they angered their own people, and all of it played out in the media. I would think at this point the BSA are just hoping to end the year quietly. I have a long standing love/hate relationship with Boy Scouts of America. Scouting has a great tradition in both the United States and in England before that. From what I can find on the BSA website there are about 2.7 million scouts in the US. I applaud any organization that can get that many people into the outdoors. I love that. On average about 30,000 scouts will go to Philmont scout ranch yearly. That is a great number - for comparison in 2011 NOLS graduated 'more than 16,500 students'. I have two dear friends that had amazing experiences with BSA, one even working at Philmont Scout Ranch. I earn a little bit of my income teaching Wilderness First Aid and Leave No Trace to scouts, and the people I meet are hard working, attentive students, with a real desire to be as good as they can in the back country. So what is there to hate about BSA? Well, frankly, a lot. While I applaud the number of people they get active in the outdoors, I hate that they do it so poorly. A lot of the problem is that there is a great deal of variation from troop to troop. Some troops do very little in the outdoors, and some are very active. The reason for that is that the level of activity is determined by the troop leaders, which are generally volunteering parents with little or no training. It is people with little or no training in the video above. I can guarantee that no one in that video is a Leave No Trace Master Educator, as all NOLS instructors are. Maybe it is time to have a standard curriculum for Troops? Maybe it is time for some form of systemized education, and training program for scout leaders? How about to be a scout leader you have to do more than put on a uniform? Maybe scout leaders should be told "if you are wearing that uniform you represent the Boy Scouts of America, and your actions need to be in line with the goals and values of Scouting." In retrospect though that wouldn't work. The scout leaders in the video above weren't in uniform. Addendum - Between the time I started writing this post, and finishing it, the original video was pulled from youtube. I found an alternate host, but at some point I am sure it will be gone too. I am also sure pulling the video is on 'the advice of counsel'. I have been using GoPro cameras for a long time. I used - but didn't own - the Standard definition version that ran on a single AA battery. It was fun, but really it was a toy. When I heard there was an HD version coming out, I knew that would be something worth shooting with a lot. I used my hero one to make films, and shoot the videos for this website and my first book. I skipped the HERO 2. For no real reason except that it wasn't offering anything I really needed. But when I saw the HERO 3 was coming, I knew it was time to upgrade. I sold my HERO 1 and all the accessories I knew wouldn't work with the 3. I owned a HERO 3 Black a few weeks after it was released. Since working with my original HERO I knew that it made sense to have multiple cameras, but I never found the extra money lying around, but shortly after I got my 3 Black, I happened to be sitting on some cash. I was ready to buy a second camera but I stopped myself. 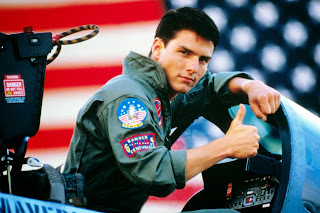 I realized that GoPro is on a one year product cycle, and if I waited a little longer, chances are I would have a new HERO to choose from. When the HERO 3+ was announced I jumped on it, and had one a little over a week after it was released. From the outside, it looked like what the computer industry calls a 'point' upgrade. Meaning minor revisions, and bug fixes. That is what I thought I was getting. I was wrong. The 3+ arrived hours before heading to the beach with my kayak so it was a perfect time to get to know it. 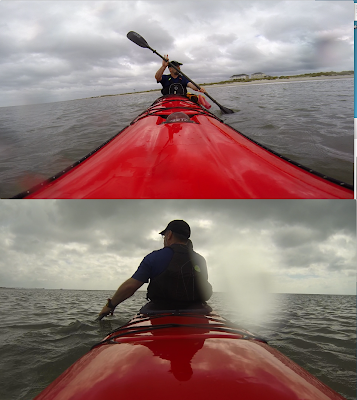 I shot a lot of imagery, both stills and video side by side with my HERO 3 Black. I used this rig to make it as close as possible. You can see immediately that the 3+ on the left looks a lot smaller than the 3 on the right. But guess what, it isn't. The camera is the same size, it is just the housing that is smaller. Which means you could put your 3+ in any HERO 3 housing. So your skeleton or frame mount will still work. But if you do that you will be missing something really nice. GoPro has continued to refine the controls of the camera, and they did a really nice job on the three buttons on the 3+. They are much larger, and easier to use. There is a new latch for the top of the housing as well - which is good because though I broke the latch on my original HERO HD housing, the latch on the HERO 3 had two sliders that you need to push to release it. I never found it easy to use. The new 3+ latch is similar in function to the original latch, but much burlier. I started off by having both cameras shoot stills at 5 second intervals. Ill be honest, I cant quite determine what is happening, it is like there is a pause in the counting for the 3+ but it definitely counts slower than the 3. I know that sounds crazy, but when I turned them both off, at the same time, the 3 had taken a 3 more photos than the 3+. They both ran for the same time, but the 3+ had 18 photos to the 3's 21. This isn't a big deal unless you are fanatical about planning the number of still photos for a time lapse. That number is also going to be much higher if you do an hour of shooting. 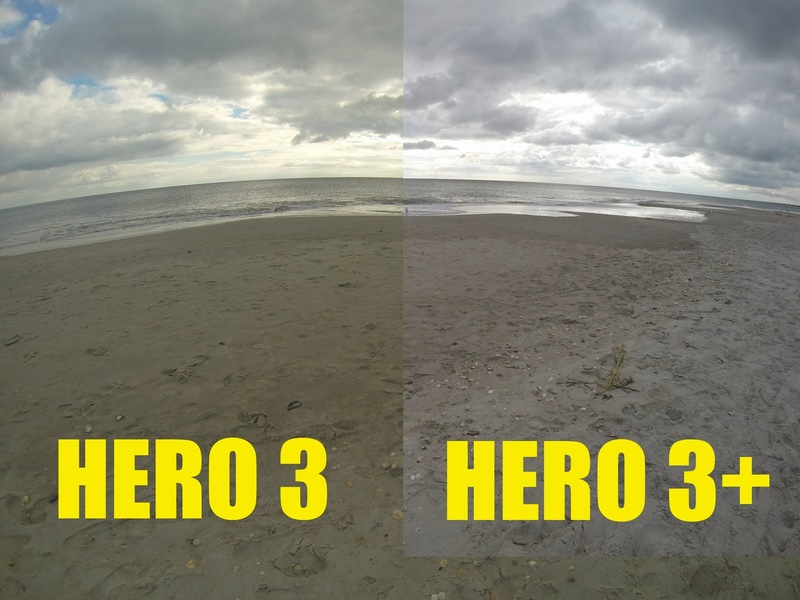 It also takes 4 seconds for the HERO 3+ to power on a boot up vs. 3 seconds for the HERO 3. That is a little nit picky, but since I had the cameras on the same rig it was very noticeable. This is a different camera. I made no corrections to the image above, all I did was cut half of the image from the 3+ and lay it over the image of the 3. You will also see that I aligned the horizon line, because the frame of the 3+ is a little different. There is also a bit less distortion. But wow, the color! The 3+ is far more neutral. It is hard to believe these two photos were taken on the same day. I saw the same color shift with video - I will have video up soon, but I haven't had time to do much besides preview the video - and with superview I am getting a wider view with far less distortion. I am literally going to have to re-learn how to shoot with this camera. It is that different. The next thing I am wondering about is whether I will be able to cut back and forth between the two cameras in post without the color change looking odd. Actually, as I type this, I think I will, but I will have to do some color correction. On the top, is the 3+ shooting 1080 superwide. The bottom is 3 shooting standard 1080. Again you see the color difference, but look at the difference in framing! I like the superwide shot, it looks like it shows less distortion in the middle of the frame, but there is an odd curve in the sides of my hull as they get closer to the bottom of the frame. Again, I am going to have to play with it to see what suits me the best. People are already complaining about the change of depth of field, with the actual complaint being things in the distance are soft, and I am truly not seeing it. So that is one less thing to worry about. My biggest complaint with the 3 was battery life. All I wanted was better battery life. It was literally half the shooting time of my original HD HERO. So the first thing I did was turn on both cameras and record until they ran out of juice. My HERO 3 ran for 1 hour and 15 minutes, my 3+ ran for 1 hour and 45 minutes. I was hoping for 2 hours, but I will take what I can get. My bigger concern on the battery front is when will I be able to buy additional batteries, and will I get the same 1:45 out of my 3? Time will tell. A couple of other odd things I noticed. After 17 minutes and 26 seconds the 3+ saves the clip and starts recording again in a new file. But the 3 just keeps on going until the 26 minute mark, then it starts a new clip. This must be a limitation of file size as they were both right at 4 GB. But that means the 3+ in superwide is using more data. For my first experiences I have to say I am very happy with the 3+ and looking forward to shooting my first real projects with it soon. I will be using both of these cameras - as well as my DSLR in Alaska next summer. Today I saw this magazine while shopping. I have a very close friend who is doing a Paleo diet - which I invented 10 years ago, except I called it the cave man diet! But that is another story - and I told her that if there is a magazine for it, the fad is over. She responded that she had seen that magazine and it was horrible. Poorly written, horrible graphics. cheaply printed. Just a bad magazine, and when talking to people she said she told them she was "gluten and dairy free" as it caused less trouble. She is very smart. But it got me thinking. The age of magazines is dead, but unfortunately the magazine publishers don't know it. 20 years ago, my wife at the time and I had an idea for a magazine. We both worked in media. Her father worked in magazine publishing and when we told him the idea he said "don't even think of getting in the magazine business!" He explained that starting a magazine was ridiculously expensive and barely paid off, if you didn't go bankrupt first. If it was a bad business idea in 1993, what do you think it is now? There have been magazines that I have loved. Outside magazine and Backpacker are both magazines I have subscribed to. I read them for years, and was excited when I would see that they arrived at my door. Outside in particular is - or was - amazingly written, and the reason I have been active in the outdoors today is because of the writing of Tim Cahill. (I say was because I simply haven't read it in quite a while) But at some point I got tired of both. I realized that I saw the same stories and issues from outside on a yearly basis. Oh its February? It's time for the skiing issue, but unfortunately I don't ski. I think the first issue of Mens Journal, and National Geographic Adventure were among the best magazine issues ever published. Over time, Mens journal became a very different magazine. The first issue talked about driving a racing car - written by Roy Blount! - and had another article about building a cabin. Now it is all about the stuff you want, and how to get the body of the guy on the cover. 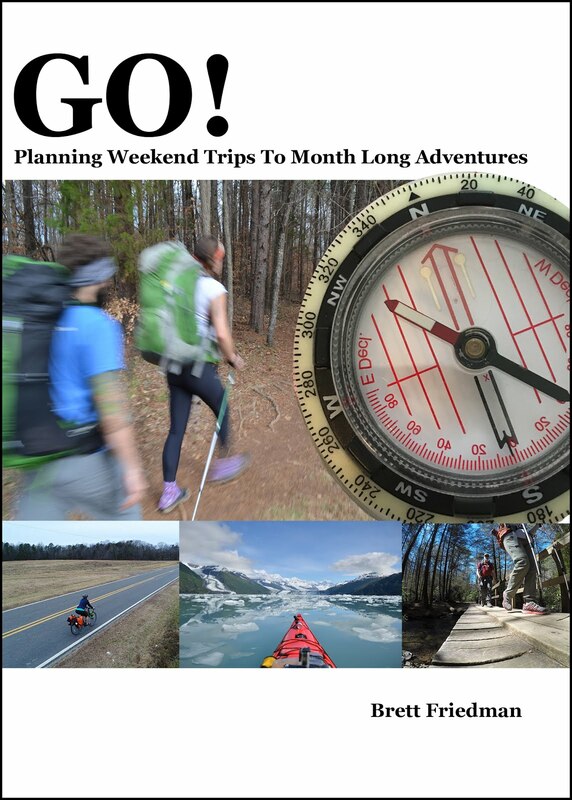 National Geographic Adventure stopped publication in 2009! 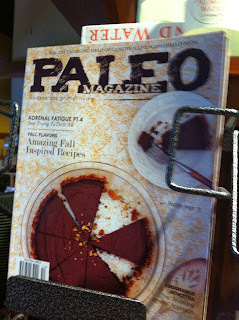 If NG can't keep a magazine going, what chance do the folks over at Paleo have? Here is the problem. Everything I read in a magazine is two months old, and we live in a world where ideas move much faster than that. 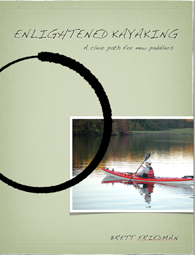 I think Sea Kayaker and Ocean Paddler are both amazing magazines - though visually speaking I think Ocean Paddler is the winner - but if I want to know the details on a new kayak I am going to google it. If I want technique I have hundreds of options, with paddling headquarters being my first stop. The vast majority of the 'how to' world is now online, and I know this because I wrote a 'how to' book! You can search Youtube for any number of 'how to' videos. From starting a fire to cooking an egg. It is there and we all have access to it. And guess what? Access is free. I wont even get into the trees that are being turned into magazines, so they can be thrown away. If I ran a magazine today I would be trying desperately to find my next move. Last year I paid for the digital version of ocean paddler which was really nice on my iPad, and no trees were killed. But I let it lapse for the two month old information problem. I think if I ran sea kayaker - which I clearly don't - I would turn it into a free digital subscription, and every day I would push a single article to peoples iPads/iPhones/or insert your tablet of choice here, as well as hosting a website. I would pay for everything with advertising. I am sure that their biggest expense is physically publishing it. But then again, what do I know. I invented the paleo diet and did nothing about it. A lot happened yesterday. Here they are in reverse order of importance. 2) Obamacare started yesterday. I am sick of this too. If you already have health insurance this doesn't effect you at all. So stop blaming it for the long lines at the pharmacy. It's a law. lets see how it does. But now the most important announcement from yesterday! 1) That's right, it is that time of year! Yesterday saw the release of the HERO 3+. A number of slight upgrades from the HERO3 which I have been using since its release last year. As I was planning on buying a second HERO3 Black, it is a no brainer to get the + model instead. I should point out that I teach the occasional "GoPro Basics" class and so people have been asking me about the rumors for a while. And if asked I would tell people the things I want out of a new camera. Number 1, better battery life. My HERO1 got 2 hours. My HERO3 gets an hour. For long trips this is horrible, and has me trying to figure out solar options for next summer. Beyond that the things I want out of a GoPro camera are more in the realm of 'it would be nice, but I don't need', and what I would have liked was Image stabilization. I didn't get it. Here is what I did get. 30% more battery life..... Better than nothing. Wider - and with less distortion lens. Auto frame rate adjustment for low light. I am going to order one in the next few days. There are also a couple of new mounts available and I am super curious if the new batteries work in my older black model. Time will tell. I think that is about it. 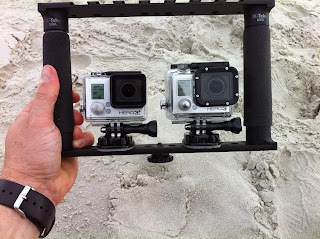 Here is your annual GoPro Hero new release video. Enjoy.